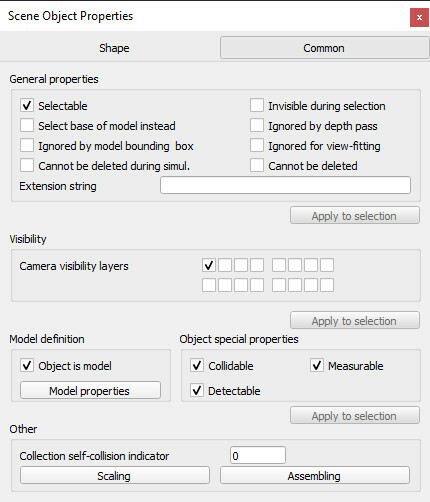 Object-type specific properties: properties specific to the selected object type. See further below for details. Object common properties: properties common to all object types. 2 buttons in the upper part of the dialog allow selecting the desired type of properties to display. If the object selection is empty, then all dialog items will be inactive.